Euro started forming an ascending impulse. We think, today the price may continue forming this wave with the target at level of 1.3275 and then start a new descending correction towards level of 1.3212. Later, in our opinion, the market may continue moving upwards. Alternative scenario implies that the pair may reach new lows and only after that form a reversal pattern to continue moving inside the uptrend. 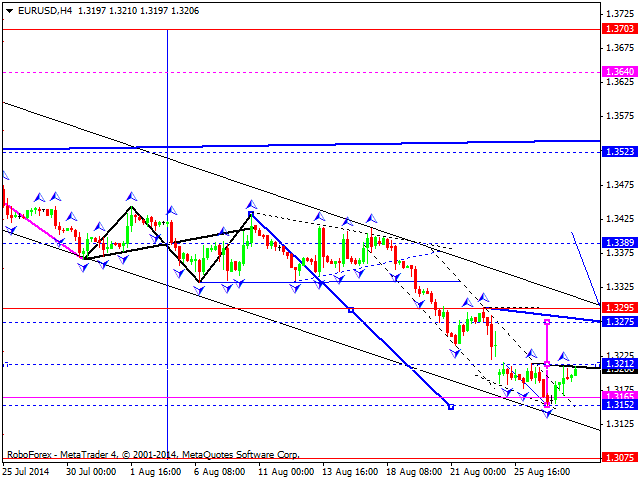 Pound is still consolidating and right now is moving near the channel’s upper border. If the price breaks it downwards, the pair may reach level of 1.6470; it upwards – the market may start a correction towards level of 1.6660. Later, in our opinion, the pair may form another descending structure to reach a new low. Franc started forming a descending structure. 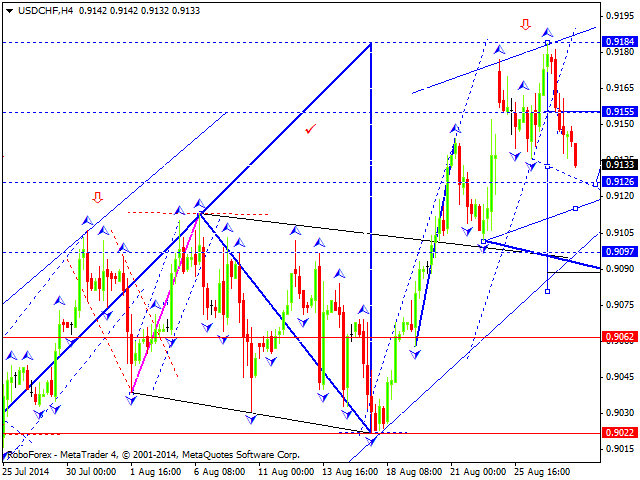 We think, today the price may fall to reach level of 0.9120 and then start a correction towards level of 0.9155. Later, in our opinion, the pair may continue moving inside the downtrend. Alternative scenario implies that the market may form another ascending wave to reach a new high and only after that form a reversal pattern to continue falling. Yen is forming another descending structure. We think, today the price may break level of 103.55 and then continue falling towards level of 103.30. Later, in our opinion, the market may start a correction towards level of 103.55 and then continue moving inside the downtrend. 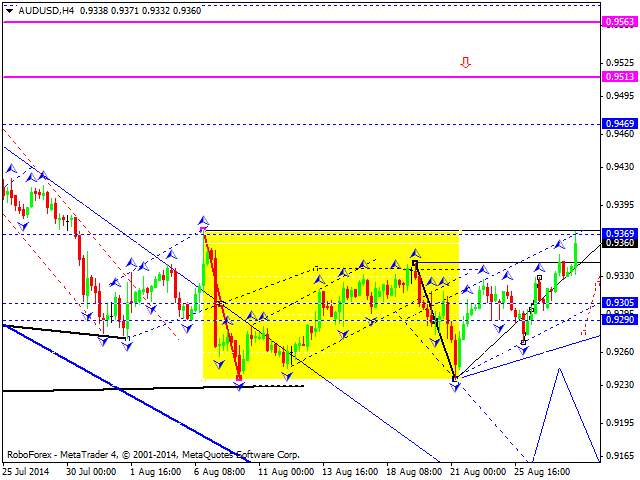 Australian Dollar reached the target of its ascending wave. 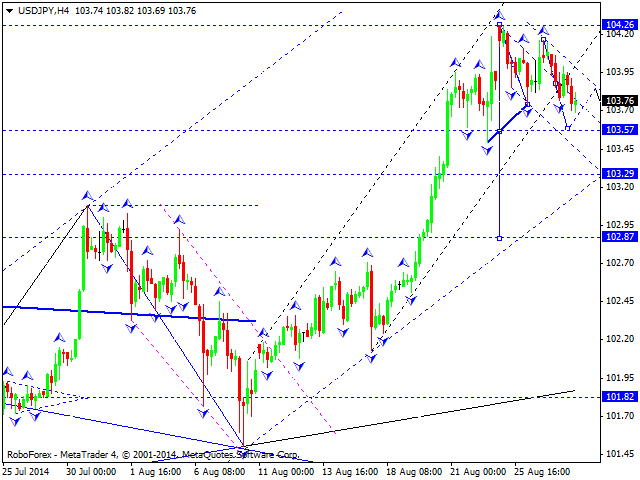 We think, today the price may continue forming a descending structure to break the minimum. 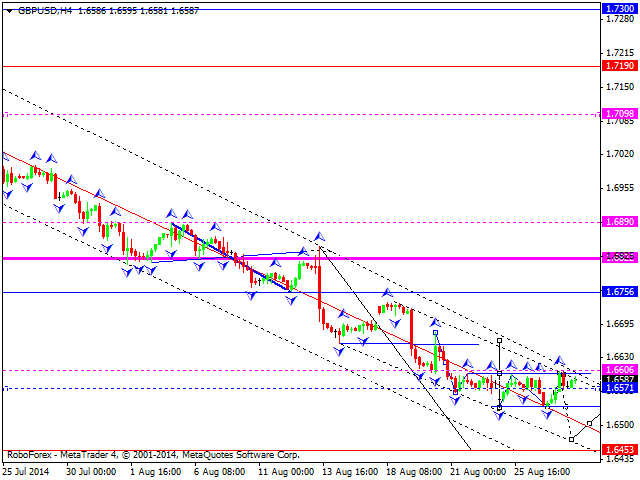 If the price breaks the channel downwards, the pair will be corrected towards level of 0.9150. Alternative scenario implies that the market may break it upwards and continue growing towards level of 0.9510. Ruble is still consolidating; the market got very close to the channel’s lower border. 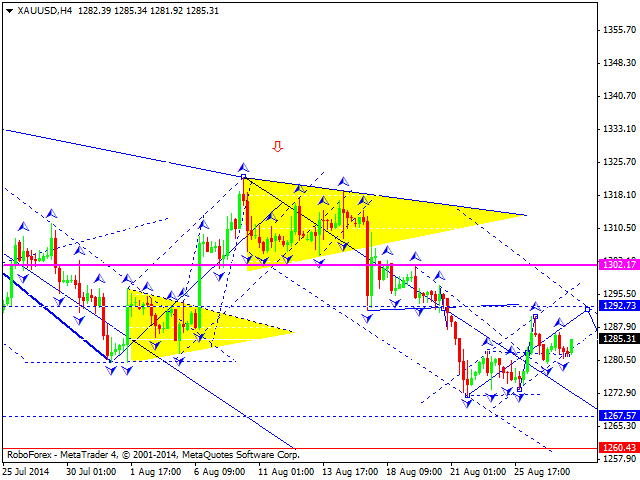 We think, today the price may break it and then continue falling to reach level of 35.34. 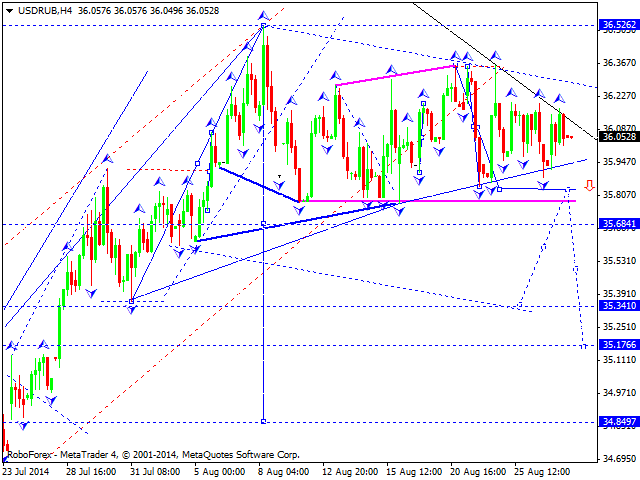 The market is expected to form a descending wave with the target at level of 34.70. Gold is still being corrected. We think, today the price may continue forming an ascending structure towards level of 1292. Later, in our opinion, the market may move downwards to reach level of 1260 and then start a higher correction towards level of 1300.